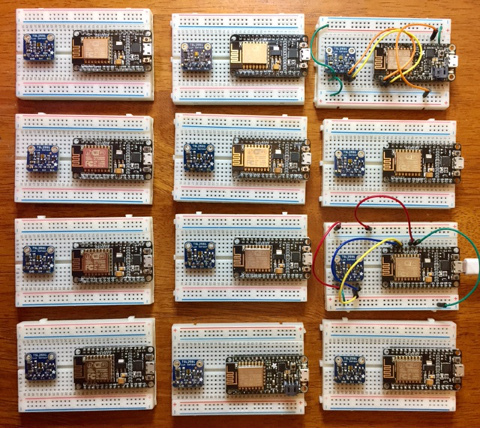 Tonight, I will be running a MicroPython and IoT hackathon at the monthly San Francisco Python Project Night. Due in large part to the availability of cheap, low-power, internet-connected microcontrollers, the Internet of Things is taking off. Python developers can get in on the excitement with MicroPython, an implementation of Python 3 that runs on very small devices with no operating system. MicroPython provides the standard Python REPL (read-eval-print-loop) interface, so you can interactively develop and debug applications on these small devices. In this session, you will learn some basic electronics, wire up some sensors to a low-power wireless controller board (based on the ESP8266 microcontroller), load the MicroPython firmware, and interactively write simple applications to read from the sensors. We will also discuss how to connect to other systems via the MQTT messaging protocol and exchange ideas on larger projects that can be built at home for low cost with beginner-level knowledge. We provide the hardware, the only prerequisite is to bring a laptop with a USB port. The boards are ready to go! The full instructions for the tutorial are up on readthedocs.org here. If you are interested in going, please sign up on the meetup page. We have limited space and it will be first-come-first-serve at the event. As you can see above, I have enought boards for about twenty attendees, if people work in pairs. Putting this together was about ten times more work than I thought at the outset. I would like to thank Simeon and Grace of the SF Python meetup for hosting and providing logistical help. The good news is that, once the initial content has been developed, it can be reused in future tutorials. If this is successful, we hope to run more like this in the future.